WITH A FEW QUICK ROLLS INSTANTLY REMOVES fingerprints, smudges, and smears from touch screens on your phone or tablet better than any microfiber cloth can! OFFERS A SANITIZING CLEANSE quickly removing bacteria and sanitizes your iPhone, iPad, cell phone, mac, tablet, or laptop touchscreen. PORTABLE AND CONVENIENT measuring only 3.5 inches for the Original and 3 inches for the Mini, you can stick it in a purse or pocket and easily do a quick touch-up while on the go. 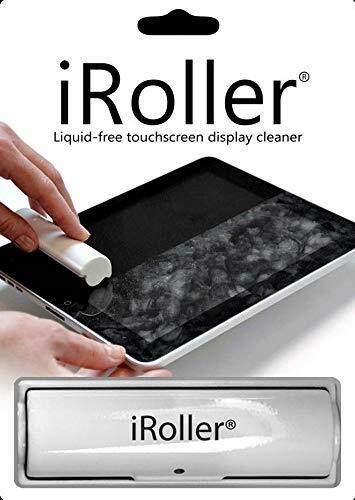 STOP WASTING MONEY on disposable wipes, microfiber cloths, and sprays, simply occasionally rinse the iRoller under water and you will have countless uses, saving you time and money! COMPLETELY LIQUID-FREE in contrast to many liquid sprays which can easily damage your devices! The iRoller features advanced materials and is completely safe to use on anything!